A bit shy of two weeks ago, Google threw out a bit of a facepunch to music fans on Android: Grooveshark, a rather great (if questionably legal) over-the-air music streaming service was pulled from the App Market following record label complaints. Today, Grooveshark makes its triumphant return to Android, albeit not through the official App Market. 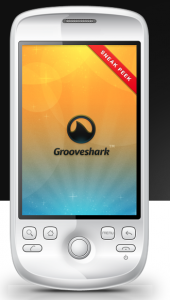 Playing on Android’s ability to install third-party applications through the browser, Grooveshark has taken on the responsibility of distributing the application themselves (you can find it by pointing your Android device at m.grooveshark.com). Alas, this route means not everyone will be able to partake; some carriers — we’re staring (angrily) at you, AT&T — have disabled the option to allow non-market apps to be installed on some or all of their phones. Oh, and just a heads up for those new to Grooveshark: for mobile access, you’ll need to be a “VIP Subscriber”, which’ll set you back $9 a month.